EFFORT: Medium. Glacier skills required. 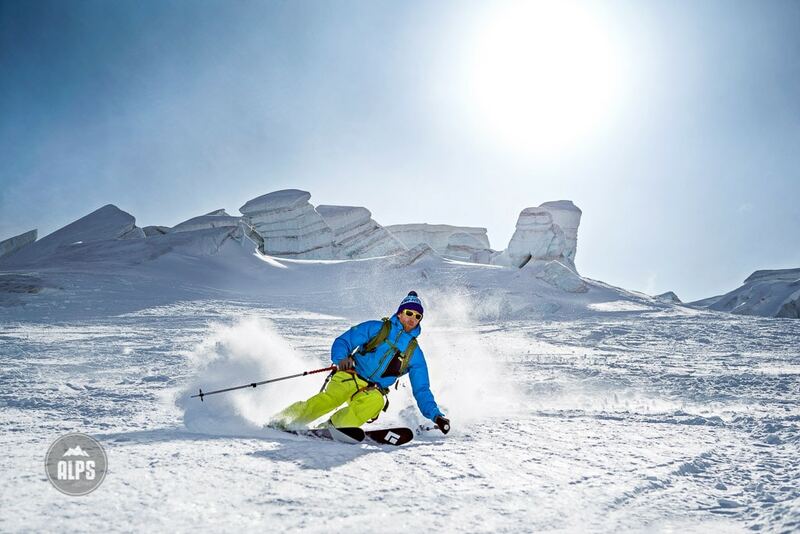 The Schwarztor Tour is a short ski ascent and traverse followed by an enormous freeride descent over varied terrain. 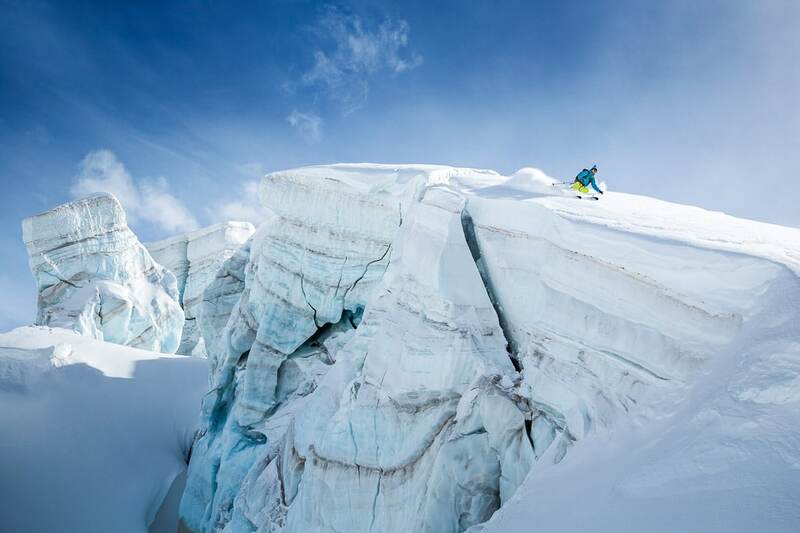 The tour passes through heavily crevassed glaciers that can be avalanche prone. While not a difficult tour, it must be taken seriously for the risk. Your day starts by strolling through Zermatt to the Kleine Matterhorn tram, which takes you to to 3883 meters. From the station you immediately enter the glaciated, alpine world. You either need to be with a guide, or be 100% sure where you are going. 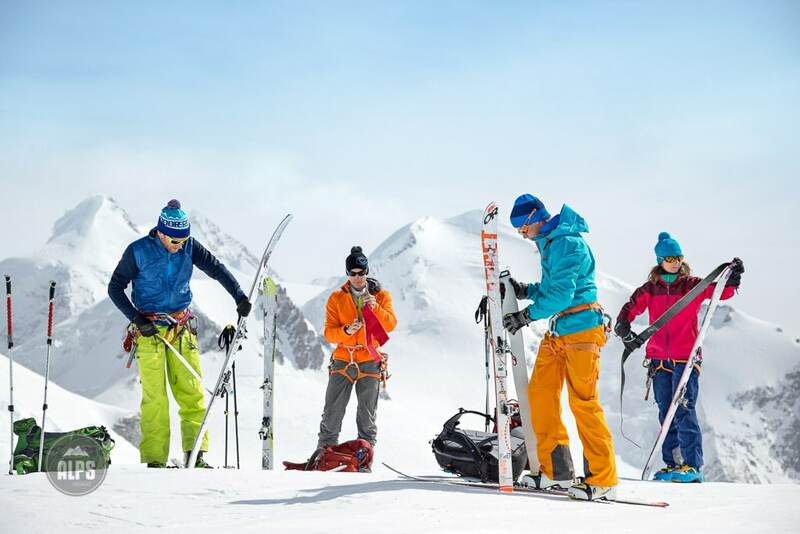 Many ski tours start here and tracks lead to all different destinations. Do not just blindly follow what seems right, or when you get to the valley, you may end up wondering why all the signs are in Italian. Your goal is the Schwarztor itself, a narrow pass at 3700 meters that sits on the Swiss Italian border, and your entry to the Schwärzegletscher. A gentle traverse, followed by a short climb, leads from the Kleine Matterhorn station to the pass. Once you've reached the Schwarztor, it's time to pull your skins. 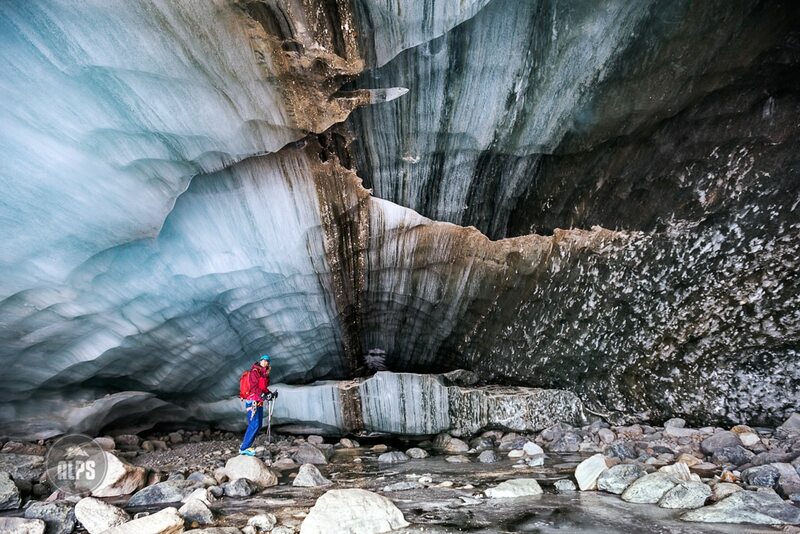 The glacier descent takes navigating among crevasses and seracs for hundreds of meters. 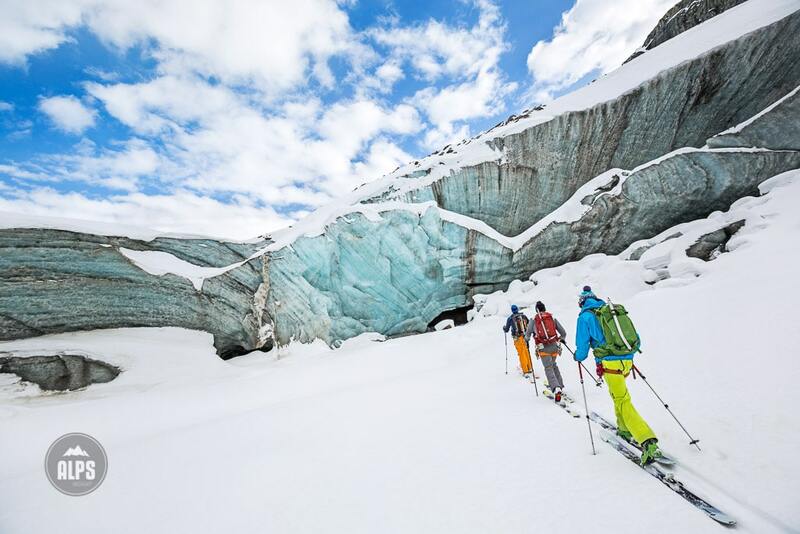 While the skiing is never steep, it is critical to find the right line to get through the glacier. 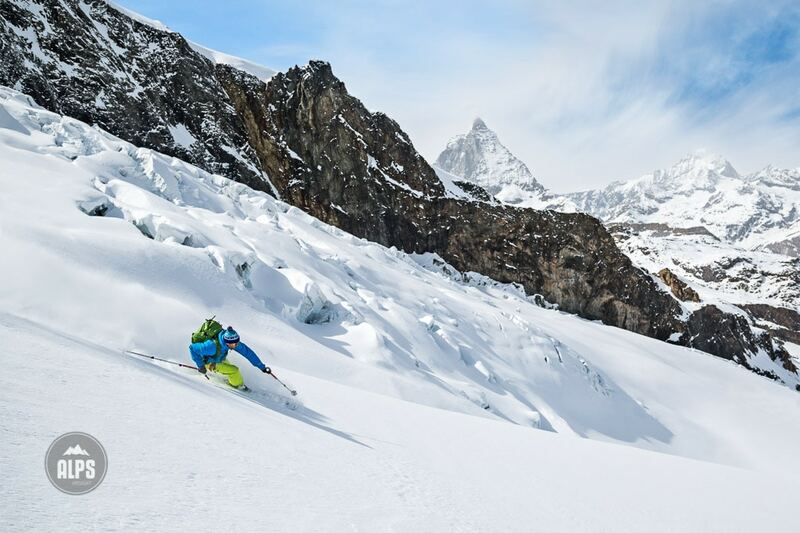 Once you are off the glacier you'll enjoy more normal ski terrain before entering the narrow Gorner Gorge for an interesting re-entry to Zermatt. The Gorge is a classic Alps exit with a fast track down technical terrain. Head's up! In total, the descent is about 2000 meters and thanks to so much different terrain, serves as a great intro to Alps skiing. TIP: Like so many big mountain trips in the Alps, if you don't have the knowledge or skills for glacier travel, go with a mountain guide. This tour is likely to have a track in, but if it doesn't, or the weather turns ugly, you are in serious terrain. While this tour, on it's own, may not be a reason to come to the Alps, it is another reason to go to Zermatt. If you have an extra day after the Haute Route, it's the classic closer to a successful trip. After a traverse and 200 meter climb from the Klein Matterhorn station, the skins get ripped and the big drop begins. Skiing the Schwärzegletscher includes views to the Matterhorn. Good enough for a second lap, heading back up for the good bits. 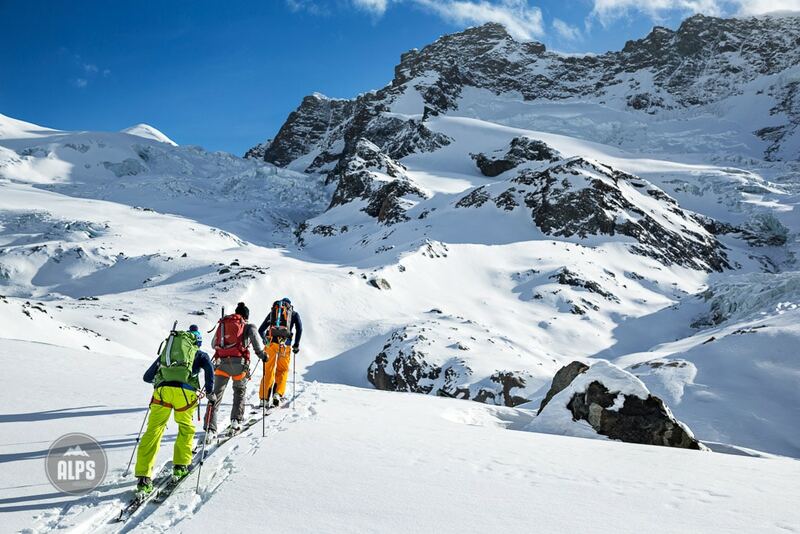 Exploring the Schwärzegletscher seracs along the way. An ice cave in the Schwärzegletscher. 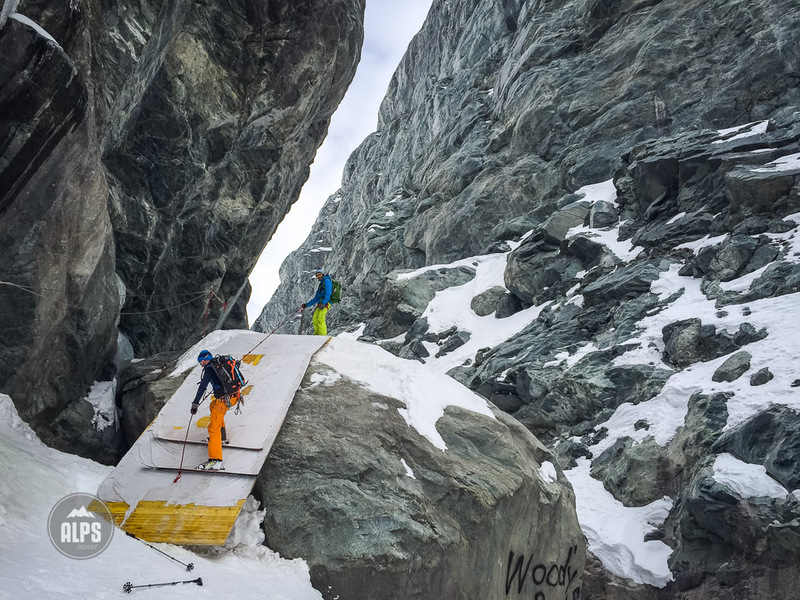 Classic Alps obstacle course ski descent for the final part of the Gorner Gorge and return to Zermatt. Is there typically enough snow in early January for the Schwärzegletscher ski descent? That’s a sketchy time of year unless a huge amount of snow has fallen. The crevasses need to cover and hold, and there needs to be depth to town. It’s earlier than I would consider but you can check in with the Zermatt guides office.